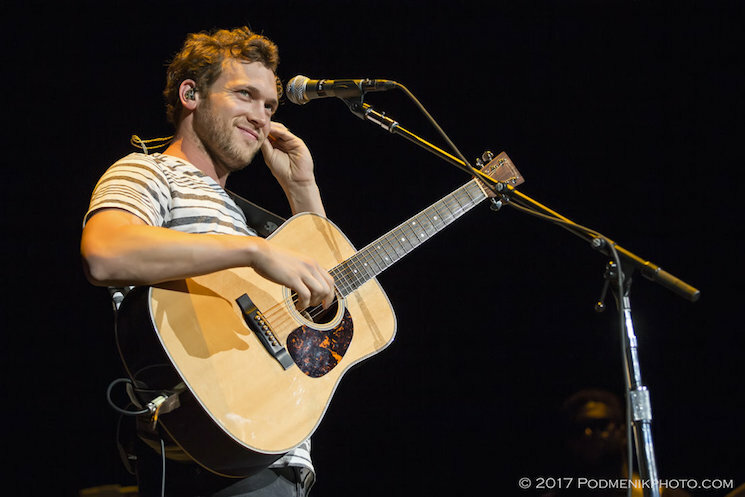 It’s getting darker in the evenings, but not in the least cooler as Phillip Phillips hot summer tour continues! And there have been so many stories and musical treats that it’s been hard to keep up. Here are just a few of the best fans and others videos and audio from the last few weeks, check them out! Also, head out to our photo gallery to see some great photos from the summer tour too! 1. “Miles,” Phillip’s moving and perfect new single, was released on August 11th. Here is an spectacular acoustic recording of the song just a few days before its official release. 2. A fan recorded the entire the show in Syracuse, NY. Watch the whole show, or if you must, go to the last song, the unreleased “My Name” to have your face melted and your mind blown. 3. An awesome fan in Boston also did a cool video montage of his entire show. 4. Our friend Susan recorded the full audio of the VIP Meet and Greet and full band set in Orlando – it’s great! 5. And finally, Phillip and his wife Hannah reminisce about the early days. Great and fun interview. Phillip’s tour with the Goo Goo Dolls Long Way Home tour continues in Jacksonville, FL tomorrow. Take a look at all the upcoming dates here. Featured photo by Wendy Podmenik Darugar. Thank you to Hot 97.5/103.9, Elizabeth, goochick22, Susan, and Mix 104.1 Boston.